When you work in a large organization it can be difficult to create connections with those in other departments. Coming from a big company in the past, there were times where I didn’t even know what role some of my co-workers held. This should be a cause for concern if you work in IT or security. Co-workers should know what you do and how you can help them protect themselves, as well as the organization and its customers. A recent editorial in CSO Online discussed the concept of security buddies – pairings that link a member of a security team with someone from a different background. 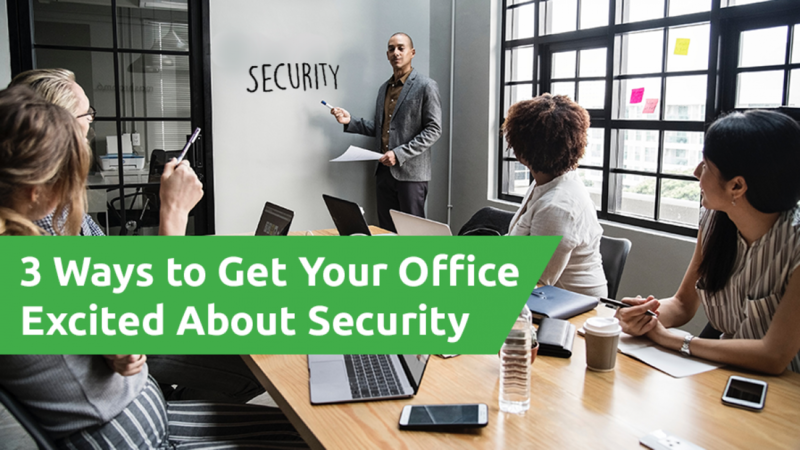 Not only do these groups help intra-office networking, they also allow security officials to work one-on-one with diverse staff members, helping everyone understand the role they play in corporate security and the steps to take to improve their performance. Who doesn’t like a little healthy competition and public recognition? Take the time to see who is really going the extra mile when it comes to office security. If you see an employee who is being diligent in their security efforts, don’t hesitate to reward them for their actions. Spotted an employee checking the ID card of an unfamiliar face? Noticed that your co-worker is diligent at locking his computer when he leaves for lunch? These are both behaviours that merit recognition. Choose a reward that’s appealing to those in your office and be on the lookout for exceptional behaviour. If employees are forced to use security programs that make their job more difficult, they may find circumvent protocol and find a service that’s easier to use. This can cause security breaches and potentially make your network vulnerable to outside attacks. If you want someone to be excited about an initiative, it’s important to give them the best tools for the job. That means they have to be intuitive and easy to implement in daily business. From new virus scans to encryption services – anything that is cumbersome or difficult to use will be met with resistance, so choose wisely.